Technology Sains / Samsung / Samsung will present Galaxy A5 2018 with 6GB RAM and Dual-Camera Setup? 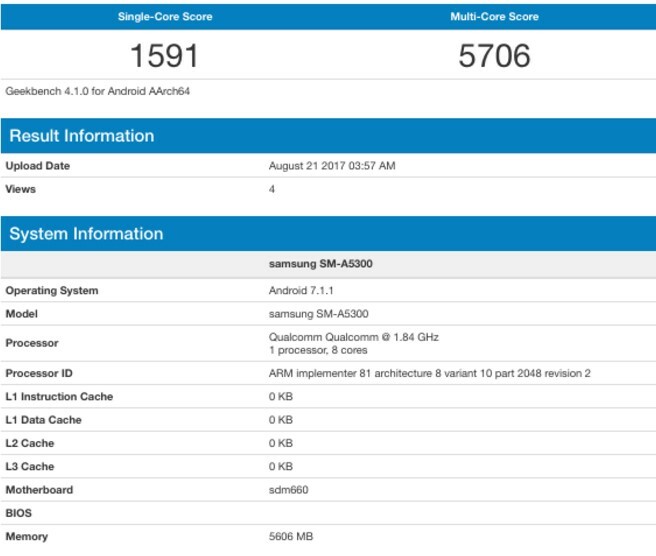 Samsung will present Galaxy A5 2018 with 6GB RAM and Dual-Camera Setup? Trend smartphone with dual-camera seems to be still in demand until next year, where Samsung will also enliven the dual-camera smartphone. For this year, Samsung is preparing Galaxy Note 8 which will come with dual-camera. Not only the high-end segment, Samsung will also present dual-camera setup on its mid-range milk smartphone. 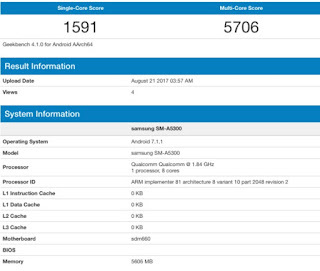 Samsung’s smartphone that will come with a dual-camera setup is the Galaxy A5 2018, which recently appeared on the smartphone benchmarking site. Galaxy A series for next year seems to be compact comes with a dual-camera setup. In addition to the Galaxy A series and Galaxy Note, the Galaxy C series for this year is also likely to come with a dual-camera setup. In addition to dual-camera, this smartphone will come with a qualified hardware specifications. This smartphone will come with a Qualcomm Snapdragon 660 chipset paired with 6GB of RAM. As we know, the chipset is the latest middle-class chipset that has amazing performance because it is using the same core as Snapdragon 825, the Kyro core. Given this smartphone has a model number SM-A5300 is very reasonable if it will be the successor of Samsung Galaxy A5 2017 which has the model number SM-A5200. Although not yet sure the truth for now, but allegedly if the smartphone will become Galaxy A5 2018 and will be announced later this year 2017. Samsung Galaxy X : the Ultimate Convenience ! What do you looking for ? YouTube Will Launch Music Subscription Service In March 2018?